The Xbox advert that aired during the Super Bowl LIII resonated with audiences for its heartwarming charm. The ad was used to showcase the Xbox One adaptive controller, a customised gamepad that allows people with physical limitations to enjoy gaming. In the commercial, nine-year-old Owen conveyed what gaming meant to him. Owen has Multiple pterygium syndrome, also known as Escobar's Syndrome. The rare genetic disorder causes facial anomalies, vertebral defects and restriction of joint movement. “No matter how your body is or how fast you are, you can play. It’s a really good thing to have in this world.” Owen said, describing the adaptive controller during the advert. The response from his appearance at the Super Bowl has allowed his own YouTube channel, Epic Gaming 101, to grow in popularity. Since the commercial’s airing, his channel has grown past 5,000 subscribers and is now over 18,000 at the time of writing. Owen’s channel has videos of him discussing a variety of gaming-related topics, including reviews and gameplay. 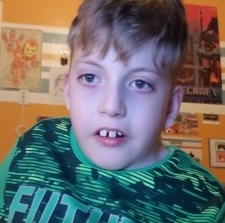 His dream is to reach 1000,000 subscribers on his channel. With a little luck after appearing in the commercial, he might be able to get that silver play button very soon.